Friendly service staff and great service provided! Everything from the initial greet to the final delivery was to expectations. I am very pleased with my 2019 Yukon XL Denali and excited to learn the crew more at Boucher for service and future purchases. 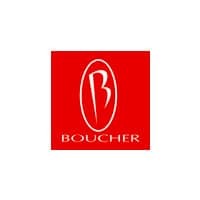 Coming from a Range Rover, my expectations are high for interaction, professionalism and overall experience and the crew at Boucher did not disappoint at all. Jacob and Ken were absolutely fantastic. Cory was also very impressive on the finance arm. 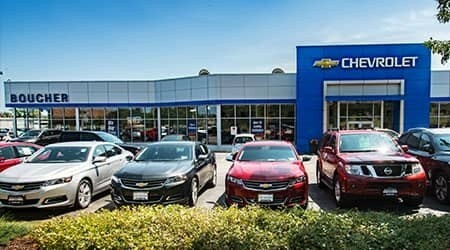 I fully believe I have built a foundation for future car purchases and I look forward to meeting more talent at the dealership. Thank you again for making a very picky consumer, very pleased and satisfied with my choice. I will be back and I will spread the word!!! They worked hard for our business. They got back to us quickly with our questions and were patient as we made our decision. The process was smooth and we didn't feel pressured at all. My service ended up costing $100 less than originally quoted, which was a pleasant surprise. 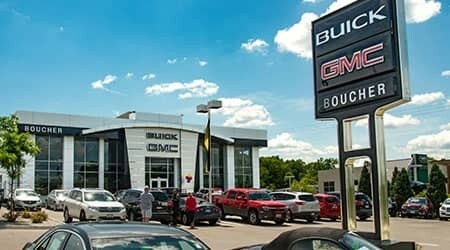 Great staff at Boucher Buck GMC! 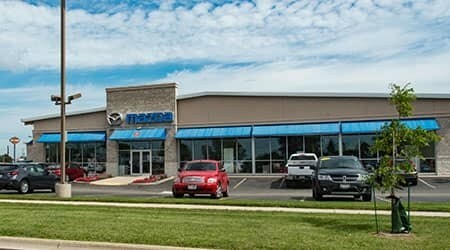 All the staff at the dealership very helpful and friendly working through the process of choosing options through delivery. My new car purchase with Nick Majeske was awesome! He is very knowledgeable and extremely helpful. He helped me through the process with no pressure and answered all my questions. Made me feel very comfortable and at ease. Everyone at the dealership is fantastic and went out of their way to make me feel at home. 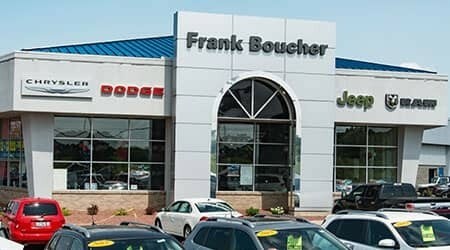 I would definitely recommend family and friends to Boucher for their vehicle needs! Update, 03/14/19, My Service Writer Jim Piscitello took great care of me! Got me in and out fast, and fixed my truck better than I could've hoped for when I got a flat. Thanks for having great staff all around! Had a tricky electrical problem that took longer than expected to diagnose. I was given a loaner truck to take home overnight and return when the issue with my truck was resolved. Everyone I worked with was great. 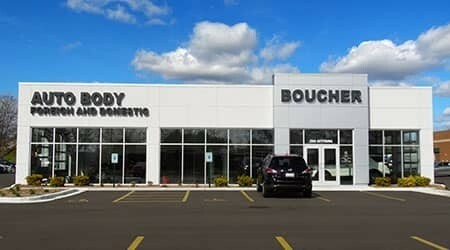 Very nice people and happy to do business with Boucher GMC. Guys in here are great, always treat you with respect and are willing to help. 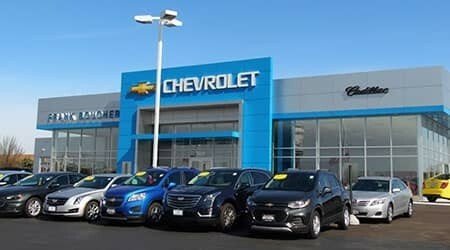 I would like to thank Jim Kemp and Joe Hacker for the excellent customer service provided to me during the transition into my new 2019 ATS I have been doing business with Jim Kemp for many many years and would recommend him to anyone that is in the market for a new vehicle. 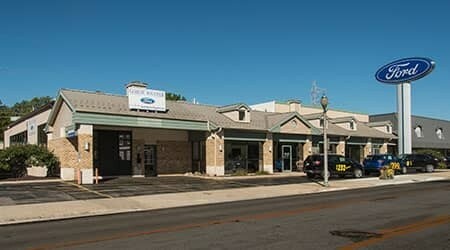 Jim and Joe where very knowledgeable, patient and attentive to my every need. Their service is ranked above the rest. Excellent prompt, efficient service; well done. 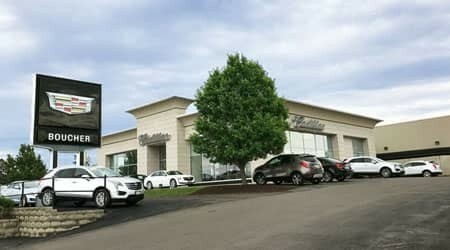 This dealership is awesome and Keith Zylka is phenomenal! We ended up getting the new equinox and we love it. Pat McInerney was very easy to work with and made our buying process very easy. Alex was fantastic from the start of the deal to the closing. I have never felt so comfortable buying a new vehicle. I told him my budget and complicated situation and he made everything work out for me and my family. I can’t thank you enough Alex. Julia went above and beyond to help us find a new car when we wanted to trade in our used truck. It had been giving us grief and we were ready to be headache free. She reviewed our options for buying used vs new, which we definitely appreciated. In the end, she helped us decide that leasing would be our best option, especially financially. She jumped through every hoop and helped us tease out our needs from our wants. Dan, the sales manager, worked through the curveballs that were thrown his way. Between Dan and Julia, we were able to walk away leasing a new Chevy Equinox. We could not be happier. Additionally, a shootout to Justin in the service department. He has been extremely helpful through the repeated servicing for our truck before we traded it in. In all honesty, Justin as been a huge part of why we decided to stay with Boucher. I was buying a used car and was not sure of what I wanted. Alex took the time to listen to my needs. He gave me several options. There was no pressure. So thankful that we were able to work with Alex. It was a pleasure working with JoAnn Blake, she was knowledgeable about the brand and was determined to meet my expectations. Most importantly, JoAnn listened to me, she focused on my'needs' and touched on my 'wants' without being obnoxious in trying to up-sell, which was important to me. My experience with JoAnn and this Boucher team was great! I left the dealership with two new cars! Thank you, JoAnn, for a fabulous customer experience - you can say...COMPLETELY SATISFIED!! Matt Bucio went above and beyond helping my find a a new used truck in my budget. Treated me very well and was able to get a square into a circle to me get properly financed and on the road in my new truck. Thank you again! Matt, along with the finance team at Boucher Chevrolet, was awesome! I didn’t feel pressured at all - if anything I felt supported. They went out of their way to help me. Would definitely recommend to my family and friends. 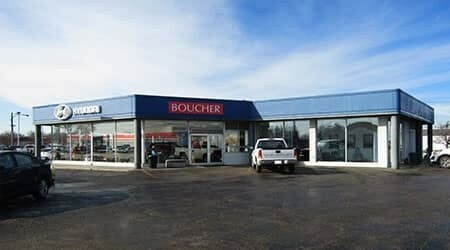 Bob at Boucher Chevrolet was a God send for our used car purchase. Our daughter who lives in Texas purchased a used vehicle from Boucher. Bob was very helpful with providing all the information needed to make a purchase from a distance. When we arrived to pick up the car, everything was as communicated. The car exceeded our daughter's expectations. Even the payment process was a pleasant experience, and we feel that we got a great deal. 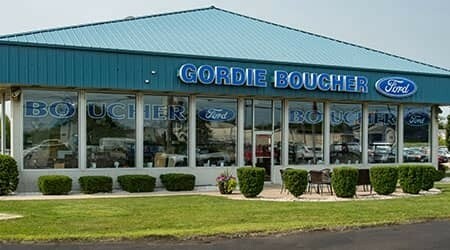 Would definitely look to Boucher for our next car purchase. 11/1/18 Update: I took my Altima in for the 10,000 mile maintenance. The whole process took less than one hour. The service rep was very professional. The wifi in the customer lounge was fast and I was able to get work done during my wait. 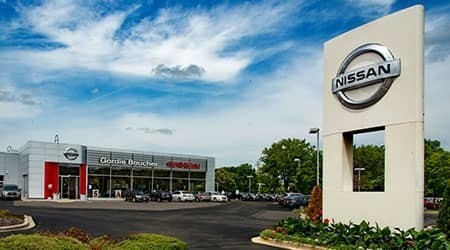 Like it!I purchased my second Nissan from Lenny DiBrito, an Altima, trading in two cars in the process. Lenny and Boucher were excellent to deal with and came up with a package I found very reasonable. 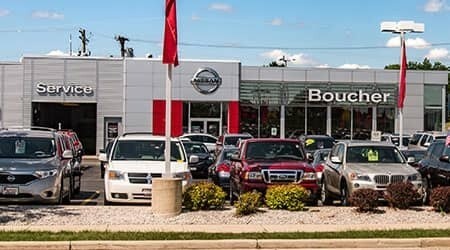 Even though I was familiar with the Nissan features, Lenny took the time to go over the entire car explaining the Altima and pointing out features I did not have on the Rogue I traded in. Once again, Boucher gets an A+ from me. Fast service and extremely personable employee that greeted me and sent me on my way! Vinnie was very helpful and knowledgeable about the vehicle we were looking at. He and the others at the dealership were very accommodating in helping us find a vehicle that day (we're from two hours away and only had a few hours in town that night to look for a vehicle). 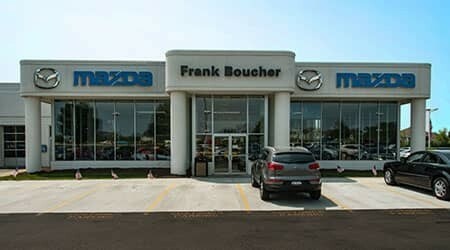 After a couple "less than good" dealership experiences locally in the past couple of weeks, we're very pleased with the level of service from Vinnie and Boucher. 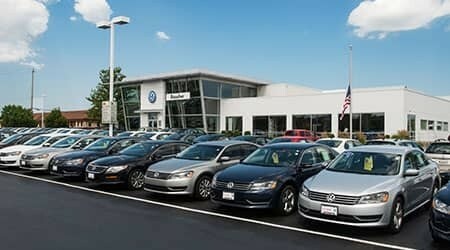 We had the pleasure of working with Joe at the Franklin Volkswagen dealership where we purchased our new Atlas. Joe was a true professional. 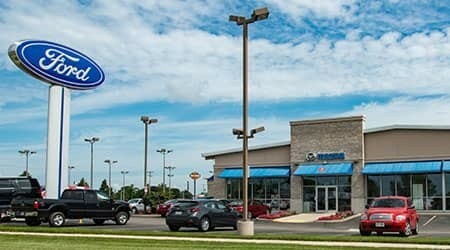 I would highly recommend Joe and this dealership. If you are looking for a car, I recommend Sam Wiroll as your sales person. He did a great job maintaining transparency throughout my purchase, and was readily available via phone or text to answer my questions. He very much understood what I was looking for in a new vehicle, and was respectful of my budget while still being able to check all of my "wants" off, too. Troy from the Finance Department also did a great job of communicating with me the value of my old vehicle, and coming to a reasonable agreement on pricing. Overall, excellent dealership! I come here all the time. It's pretty great. 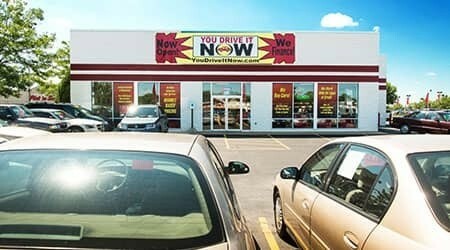 Great service and the staff is very friendly. 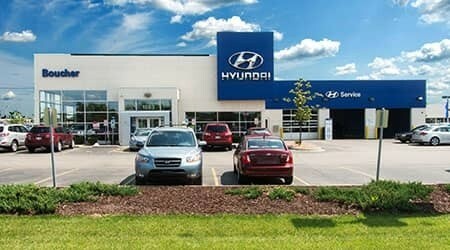 Before visiting here, I was at horrible dealership that didn't even have the car I scheduled to drive for me when I showed up at their opening time and decided to throw worse cars at me after I gave them a chance. 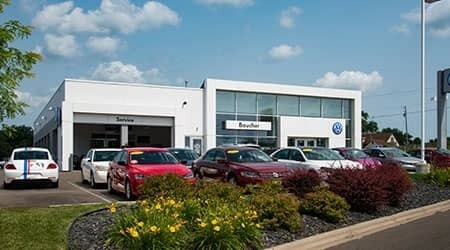 So, I decided to head over to Boucher VW of Franklin as my coworker is always praising her Passat, going on about how amazing and reliable they are. I gave it a shot and arrived here, as soon as I walked in I was greeted with a smile and a hello from Sam Wiroll. I had originally set up a test drive with a different seller, but he was actually at a different location, as I had arrived early. 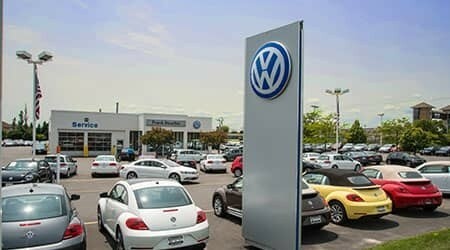 Sam immediately began to help me and figure out what my original test drive consisted of and from there took care of me like I was a part of the VW family already! At no point did he try to shove anything my way or make me pay for what I didn't want. From start to finish he was happy and eager to get me into my first new car and I was so happy to find out that the better option offered to me was going to be mine! 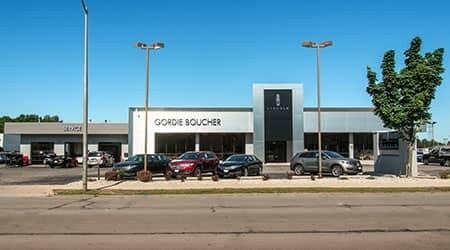 I am now a happy owner of an amazing car and would recommend this Boucher to anyone in need of a beautiful, reliable, and efficient vehicle, as well as a great car buying experience. 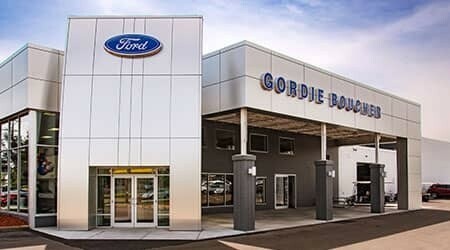 Very nice salesman and staff. Bought a SUV yesterday and they were pretty fast, the whole process. 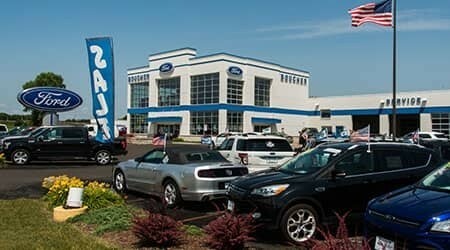 The only thing I didn't like is the salesman has to ride with you when you test drive a vehicle, to me that makes me very uncomfortable especially when you are making a substantially purchasing and you would like to talk it over with your wife while driving and there is a salesman in the back, makes it hard to do. Even though he was a nice young man. Think about how that makes the customer feel.